The Czech Meteorological Society is a scientific society of professionals working in meteorology and related disciplines (meteorologists, researchers, academicians). The membership is on voluntary basis, there is no connection to trade unions, but it is a member of the Council of Scientific Societies of Academy of Science of the Czech Republic. We are organised in four local sections (Prague, Brno, Hradec Králové, Ostrava) associated to the structure of branches of CHMI. 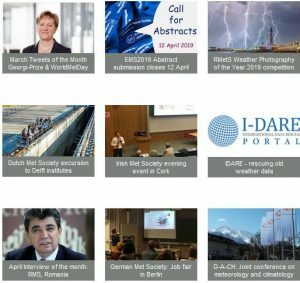 The main activities are developed around organising series of local seminars in the sections, covering meteorological and related topics, as well as regular annual meetings on selected themes (recently Education in Atmospheric Sciences and Information on Meteorology for the Public).